Flat Roofing is rumoured to be a very troublesome area in roofing, but with modern day techniques, those rumours are proving incorrect. A more traditional flat roofing technique, but now with advanced materials, meaning longer guarantees. 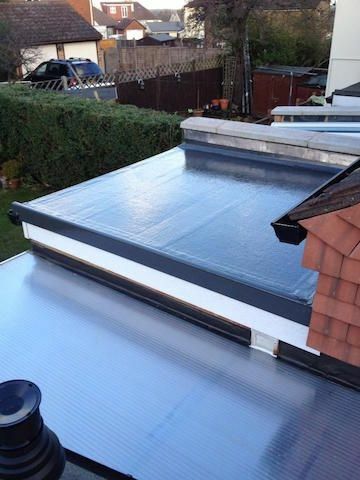 We can offer 10 year guarantees on our new felt roof installations. Our material of choice is ICOPAL TECHNATORCH. Evoluion felt overlay is a product specifically designed to overlay existing surfaces such as old felt or asphalt. Although the cost per roll is higher than standard felt cap sheet, the system is designed to be 1 layer (as opposed to 3) & can really save money on a complete new roof project. Evolution is available with 10, 15 or 20 year guarantees, with the product changing in thickness depending on the required guarantee length. 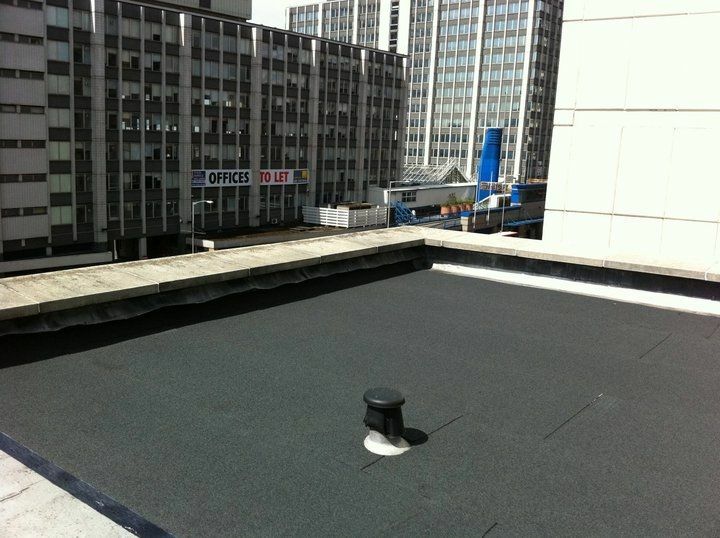 We have dedicated a page (see menu to left) to GRP Fibreglass flat roof installations. 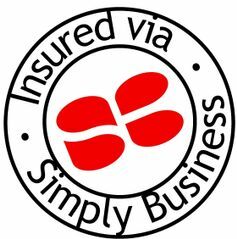 We offer a flat roof report service (charges apply) for your insurance company. Email us to arrange an inspection of your flat roof.